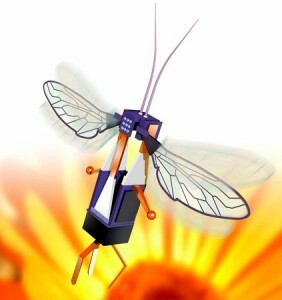 In a previous post, Harvard’s work toward developing a tiny robotic fly was discussed. 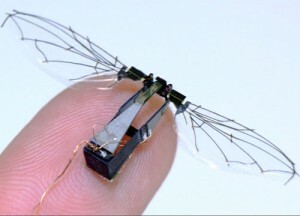 The idea proved interesting enough: small, insect-sized flying robots roughly 1.5 centimeters in length. With enough revision, these robotic flies may even prove useful for more than just breaking new ground in small flight, such as aiding in rescue or gathering intelligence. However, there were several problems. To start, the robots were extremely unstable in their flight, and had to actually be tethered so they could follow a vertical course. They were also energy-inefficient enough to require a cable connecting them to a power source. Harvard is now in the second generation of this project- the robotic bee. Their new ideas have also grabbed the attention of the National Science Foundation, and gained them a ten-million dollar grant in the process. Using what will essentially amount to a brain, the scientists aim to install sensors similar to the eyes and antennae of bees on the robot, allowing it to self-monitor its flight. This will also allow it to keep track of its fellow robots and their actions, which will in turn allow for something of a hive mentality capable of communicating and making simple decisions as a group. Essentially Harvard is aiming to set new standards in not only robotics and aerial locomotion, but also to provide new breakthroughs in the computing and programming of complex algorithms, low-energy cost computing, and high-energy power sources compact enough to fit on small machines. Still in-progress, this project may change how scientists and engineers view complex flight.